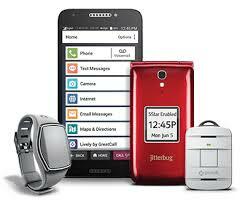 Best Buy has announced it will buy the owner of Jitterbug cell phones and medical alert devices designed for older customers. Buying GreatCall (the company behind Jitterbug) allows Best Buy to expand its customer base overnight. Best Buy is gambling that if it can attract older customers, it might be able to position itself as the go-to store for ageing Americans and their caregivers. According to this article on CNN, it can bring them in for Jitterbugs and medical alert gadgets and send them home with TVs and Echoes. Health and eldercare are potentially massive markets for Best Buy to tap. Around 50 million Americans are over 65. That number is expected to double within the next 20 years as Baby Boomers retire. But as we always caution, the product is but one aspect of the customer journey. If Best Buy is aiming to reach an older customer it had better make sure all the other elements of the journey are age-friendly too. For example, just imagine an older person trying purchase the Jitterbug or other device from this page of the Best Buy website! If a customer can’t manage an iPhone, they’ll certainly struggle with this! Both iPhone and Samsung already build ageing-related features seamlessly into their products for a truly age-neutral experience. In my view, age-silo products such as Jitterbug will become increasingly confined to the ‘old, old’ segment. As more tech-savvy people join the ranks of the elderly, products that conspicuously declare ‘old age’ and decrepitude will meet greater resistance.